Hooray, hooray, hooray! The life-long career of Pink has finally made the best turnover in her life. The singer was honored with the Hollywood Walk of Fame last week, and nothing was better than seeing her true emotions and joy. 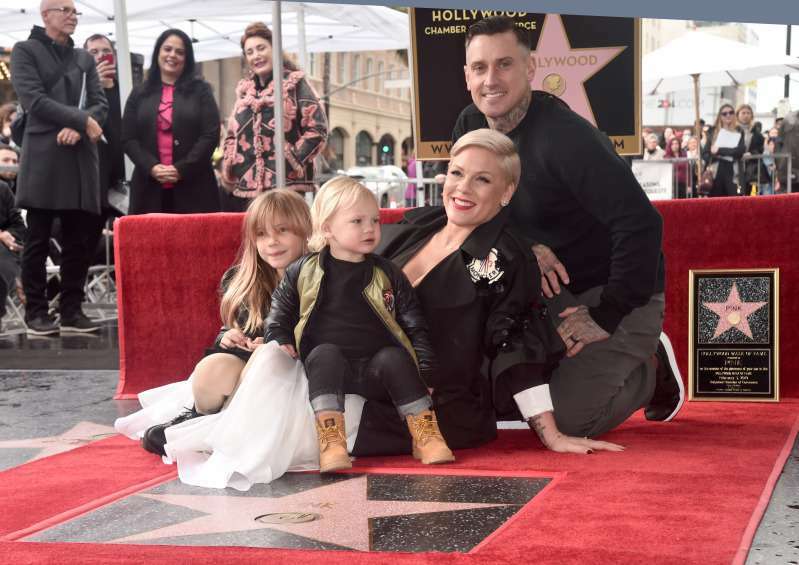 The Just Give Me A Reason hitmaker wanted to share this remarkable moment with her precious family: a husband of 13 years, Carey Hart, and their 2 adorable children, Willow Sage and Jameson Moon. Congrats! Grammy was a crazy thing: filled with many tears, happiness, but also with sadness and despair! Even though Pink got her Hollywood Star, she lost Grammy award to Ariana Grande in Pop Vocal Album category. But the pop singer didn't sink into sorrow, since her beautiful children made a great surprise for their mummy. Willow and Jameson presented her a homemade Grammy, which the star shared on her Instagram page. Pink captured the post, "Thanks Kids:) my favorite kind of award." Her kids admittedly know how to gladden their dearest mother, and indeed, it was more than lovely to receive such a gift. The What About Us hitmaker is a great family woman, aside from her blossoming singing career. We do believe that devoting all time to someone and something you adore is of importance. No reason to be sad for Pink as she won an Outstanding Contribution to Music award at BRIT Awards. Remarkably, she is the first international musician in history to receive such an award. Well duh, why care too much about Grammy, when you get a chance to mark your career for decades in the Hollywood Walk of Fame. Well done, Pink!